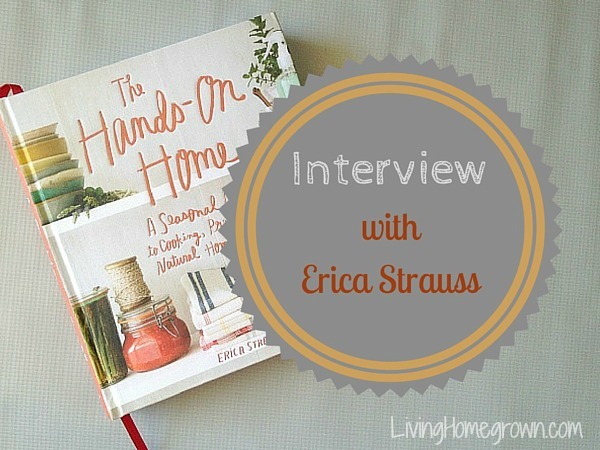 This week’s post is a summary of my podcast interview with my good friend Erica Strauss. Erica is a blogger over at NW Edible Life where she has fun, punchy perspective on garden-to-table eating and living a DIY lifestyle. The Hands on Home:* A Seasonal Guide to Cooking, Preserving and Natural Homekeeping. It’s about keeping a more productive home, kitchen and lifestyle through DIY projects. You save money, time and end up feeling good about what you do.